Parquet Courts Take on Neil Young's Synth Phase with Amazon-Exclusive Cover of "We R In Control"
Parquet Courts have shared a cover of Neil Young’s synth-y anthem “We R In Control” for Amazon Music’s Originals series. The song is available exclusively through Amazon’s music streaming platform. “We R In Control” is off of Young’s most controversial album, 1982’s Trans. The album found Young abandoning the acoustic-guitar-and-harmonica approach that had come to define his solo work in favor of Krautrock-indebted synths and repetitive, mantra-like melodic lines that were inspired by Young’s daily exercises with his son Ben, who has cerebral palsy. The album was such a departure from Young’s previous work that it formed the basis of a lawsuit by Young’s label, Geffen, against him on the grounds of producing deliberately uncommercial work. 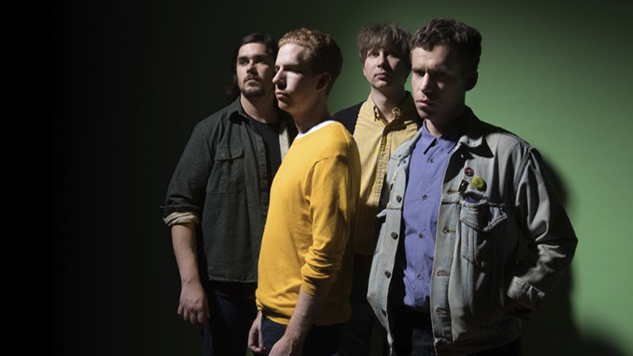 Parquet Courts will be continuing their national tour through the remainder of the year and into 2019. Find a full list of dates here. Listen to “We R in Control” via Amazon Music here and see a 1997 Young performance from the Paste archives below.